Is there a scientist in history more misunderstood in modern times than Charles Darwin? His seminal work, The Origin of Species, revolutionized the biological sciences and led to a tension between science and religion that still exists today. The story is ripe for the biopic treatment, and director Jon Amiel obliges with Creation, debuting tomorrow at the Toronto International Film Festival. 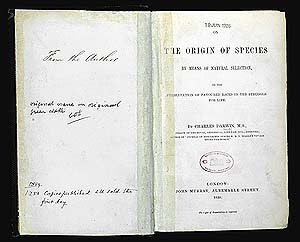 Indeed, according to Keynes, Darwin’s “private life and science were all of a piece.” Annie’s death affected him deeply; his theory of evolution was well-developed by the time she died, and among other concerns, Darwin worried that he may have passed on genetic weaknesses to his daughter that ultimately led to her death. Although he rarely mentioned Annie for much of his life, in an interview some 35 years later, he could still recall her very first smile when she was just 8 weeks old. Any parent could relate.